La Corua Digital Art - Digital Art for the Sonoran Heart. Welcome to La Corua, home of Digital Art for the Sonoran Heart. I am an artist devoted to exclusive digital works of art, and to honoring life in the Arizona Borderlands. 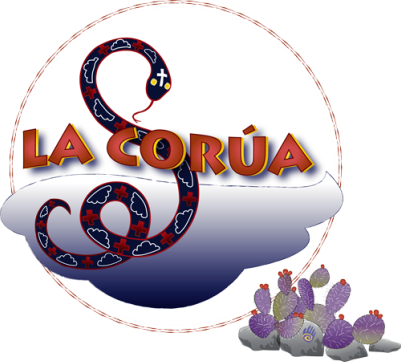 Rooted in a vanishing Sonoran folktale, La Corua brings our historical heritage alive and breathes life into community and culture. I retired from business as La Corua in 2014, but I still enjoy creating beautiful art and powerful graphics through this mythical namesake. ​Lotería de Tucson 2018 was an exhibition featuring mixed media creations about Greater Tucson by 54 Arizona artists. The original works of art were photographed and published to comprise a deck of ​Lotería cards. Sales proceeds of the card decks benefit the Community Food Bank of Southern Arizona. 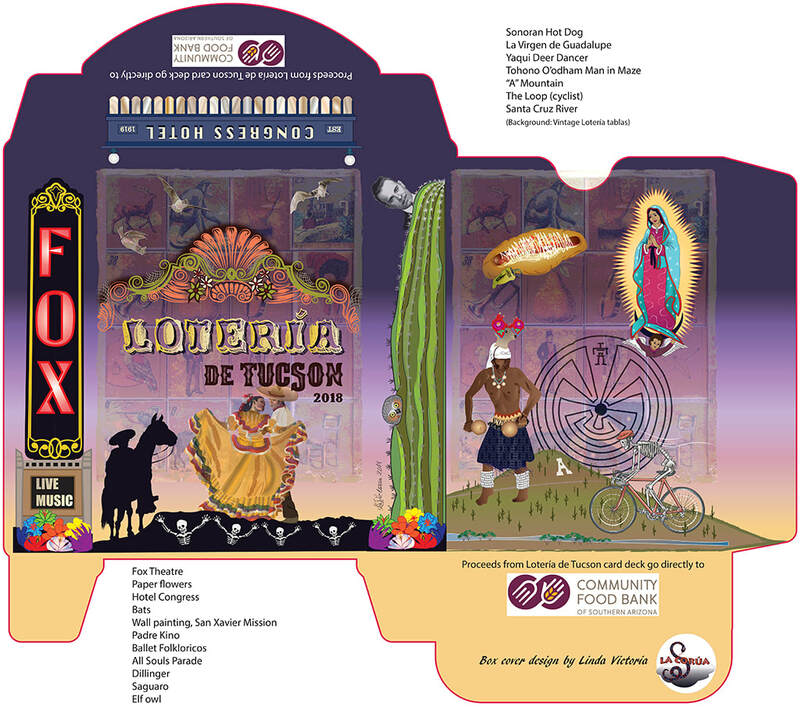 The box design is my interpretation of some of the things that make me proud to be a Tucsonense.